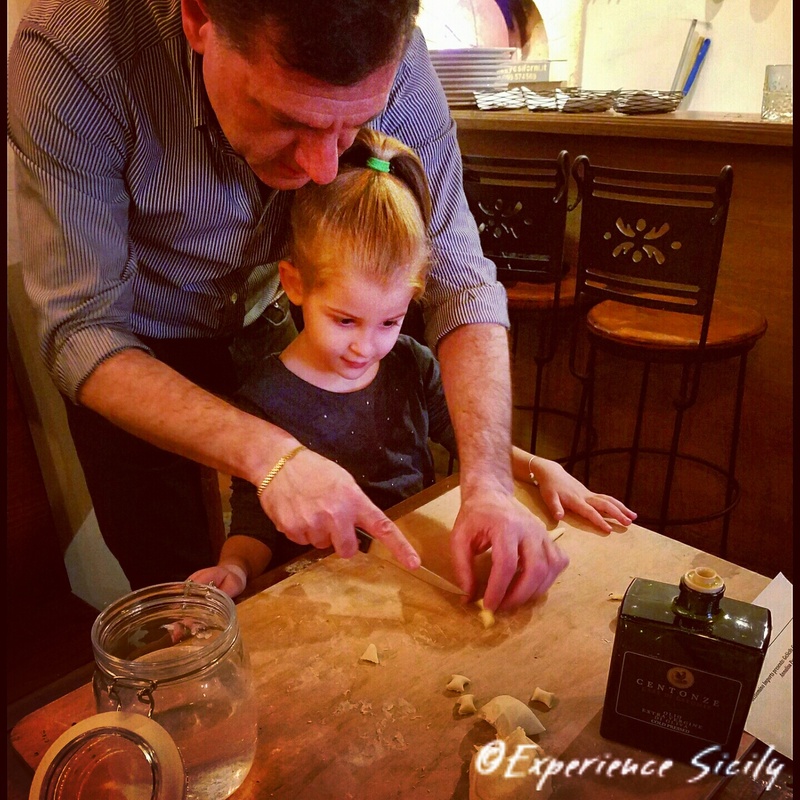 As we were reminded yesterday by Annalisa of GoSicily, Sicilian Cooking Experience, the traditions of food preparation and recipes are passed from one generation to the next. Grandmothers to mothers to daughters and sons… Here, Cacio e Vino’s owner, Giusto Priola, is showing one of our New York event’s guests how to make fresh cavatelli pasta after Annalisa’s instructions. Cacio e Vino was so gracious to host us yesterday, along with New York’s Sicilian Meetup.com group. It feels so good to collaborate with my fellow emerging, women entrepreneurs of GoSicily and Gelsomino Imports. Thanks to our guests and to everyone at Cacio e Vino for making today a success! Join Experience Sicily in Sicily this September 15-22 for Stirring Sicily with GoSicily and Zest!